Need a top-notch DVD converter? Try WinX DVD Ripper Platinum! • Fast conversion speed. High output quality. Ease of use. Free download this safe, powerful, and fast DVD ripper to have a try now! DVD seems to be an obsolete media, but there are still many people sticking with DVDs which still bring in billions every year. People still buy DVDs, probably because their parents get used to watching movies in this way, they still want hard copies for collection, they are interested in extras in the physical discs, like deleted scenes, gag reels, commentaries, and behind-the-scenes featurettes, or for other reasons. Still long for digital copies? No need to bother purchasing again. You can rip a digital file out of DVD through one of the best DVD converters below. DVD converter (aka. DVD ripper) is a tool capable of converting DVD to a video format for convenient playback, storage, editing, etc. There are many such programs available. You must take time and effort to find one you trust and feel comfortable with. Fortunately, you don't need to google out all them and compare them one by one and side by side. The 2019 top 3 DVD rippers are already singled out here, with thorough reviews covered. Read the reviews below and choose one based on your own needs and preferences. Designed by an experienced multimedia software developer - Digiarty, WinX DVD Ripper Platinum is superior to other similar programs in terms of supported source files, preset profiles, conversion speed, output quality, stability, and other aspects. It features neat interface, thus delivering a good user experience. What makes WinX DVD Ripper Platinum the best DVD converter? Copy-protected old and new movie DVDs (incl. Disney 99-title discs), TV series DVDs, workout DVDs, and others are fully compatible. Self-made discs are accepted undoubtedly. Supporting multiple techniques, hardware acceleration, Multi-core CPU, Super Encode Engine based on MMX- SSE & 3DNow! and Hyper-threading tech, it boasts unmatched DVD ripping speed. 5 minutes could be enough to convert a full-length movie DVD to MP4. Certainly, it varies with computer configurations. No one would like to lose quality if there's enough space. Luckily, this tool arrives with High Quality Engine to guarantee output video audio quality. "Yadif Double Frames" De-interlacing Engine changes interlaced scanning mode to progressive scan while converting DVD. Taking all popular needs into consideration, its developer infuses 350+ output profiles into this DVD converter. 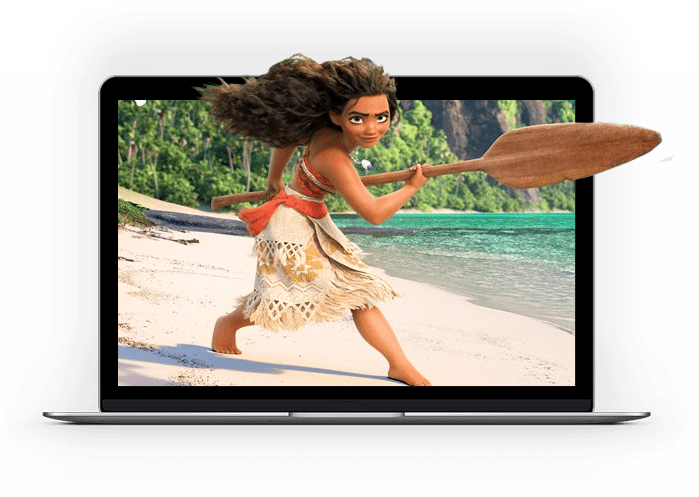 Therefore, users can convert DVD to AVI, WMV, MPEG, MOV, MP3, iPhone, iPad, Android, iTunes, iMovie, YouTube and other devices, software, websites, with one click. DVDFab DVD Ripper is a cross-platform DVD converter, not only available for Windows and Mac, but also Linux. It features intuitive interface, but it's a little bit confusing with 4 software (Copy, Ripper, Converter, and Creator) into one interface. To convert DVD, you should click Ripper tab. Load your DVD disc, and then you can convert it to MP4, MKV, HEVC, AVI, WMV, MP3, and more. Besides exporting 2D videos, it can also convert DVDs to 3D videos. Similar to WinX DVD Ripper Platinum, DVDFab also supports multi-core CPUs and hardware acceleration to boost the processing speed. But according to our test (convert I AM WRATH DVD to MP4), WinX DVD Ripper Platinum only needs 10 minutes, while DVDFab costs 17 minutes if using 1 pass encoding method, 1 hours and 6 minutes if 2 pass chosen, and 40 minutes for CRF. The user interface of Aimersoft DVD Ripper is a bit out of date, but it still deserves recommendation as a good DVD converter of 2019 owing to its helpful features. It allows users to convert DVD to mainstream video formats, audio formats, online formats, and devices. Currently, it has 175 ready presets for devices from Apple, Samsung, Google, HTC and other electronic devices manufactures. As the first two top DVD rippers, it also sports editing options. In addition to trimming, cropping, merging, subtitling videos, it is available to add text and image watermarks, and modify brightness, contrast, saturation or apply artistic effects. How to Convert/Rip DVD on PC/Mac? Almost all DVD converters rippers work in a similar way: input DVD, define output, and convert now. Here let's take WinX DVD Ripper Platinum as an example to show you how to convert DVD to video step by step. Step 1. Download and install DVD converter onto your computer. Windows 10 is supported. Make sure you have the right version downloaded. This program is clean, so feel free to download and install it. Step 2. Launch it after installation is done. Then, insert the DVD you want to convert into the DVD drive. Go back to the main interface of the DVD converter, click the DVD Disc button at the top left corner to load the DVD you just put in. Then, all DVD titles will be listed with main title detected. If you want to include other titles or want to change the main title, just check target items manually. Tips: DVD VIDEO_TS folder and ISO file can also be loaded as source files for further conversion. Step 3. Select an output profile from the hundreds of choices. All of them are optimized to achieve good result. Choose one and hit Ok to go on. Step 4. Prior to conversion, you can edit DVDs through the scissor-shaped icon, change to your desired location folder, and check other options. When everything is settled, click the RUN button to begin converting DVD right now. What is the fastest DVD ripper? Let's review WinX DVD Ripper Platinum with Hardware Acceleration based on Intel QSV and NVIDIA (CUDA) NVENC. Need a fast DVD ripper to rip and copy any kinds of DVDs quickly? Read this fast DVD ripping software review and check if it is the one you are looking for. How to Rip Movies from DVD to MP4, AVI, MOV etc. Follow this guide to rip movies from DVD to MP4, AVI, MOV etc, for a backup on hard drive or later playback on PC, Mac, mobiles. How to copy a protected DVD? Use the best decrypter for Windows (10)/Mac recommended here to make a digital copy of protected DVD in MP4 (H.264), AVI, MOV, MPEG2 etc, without hassle.